If an EMP destroyed your world, what would you do? Does it sound like a familiar premise? 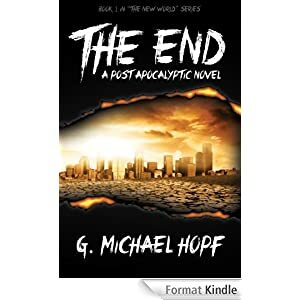 Like me, G. Michael Hopf writes post-apocalyptic fiction. His New World Series have become Amazon bestsellers, which includes The End and The Long Road. I stopped to talk to Mr. Hopf about his career as a writer, his inspiration when penning this series, and what exactly an EMP is, in case you didn't know. Me: Introduce yourself! Who are you? And my favorite introductory question: Why are you a writer? Michael: Who am I? Isn't that the ultimate question in so many ways. The answer that is given is one that we ourselves use to define who we want to be perceived by the world. People tend to answer with titles or adjectives that they think are impressive. So here goes. I am a full time novelist who lives in sunny San Diego with my beautiful family, Tahnee, my wife and two daughters, Scarlette and Savannah. I have lived several other lives that have shaped the man I am today. From a combat veteran of the Marine Corps, commercial diver (not driver), bodyguard and entrepreneur. As far as writing goes, I began writing over 20 years ago. I kept a journal where I wrote wonderful short stories that no one ever read. I finally decided in 2010 to get serious about it and first came out with a children's book. After completing that task I set to writing my first novel in 2011, I completed it 18 months later and self-published it in April of this year. I write because I love the ability to create worlds, characters and situations and then shape those worlds and create outcomes that I hope others will find exciting. Me: Tell us about the first installment in your post-apocalyptic series, The End. Michael: The End - A Post-apocalyptic Novel is the first book in a 7 book series that follows several point of view characters as they navigate a world where several super-EMP weapons have been detonated leaving the power grid destroyed and the population fighting for rapidly vanishing resources. The point of view characters take the reader around the world. You get to follow a man and his family in Southern California, a Marine in Afghanistan and the Speaker of the House as he finds himself pushed into the presidency. I take the readers on a journey to get an understanding how those three elements, civilian, military and government would relate to such an event. Me: You write post-apocalyptic survival stories. So do I! I love PA fiction because it's exciting and plausible. 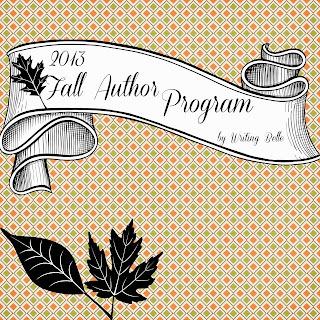 Why do you write in this genre? Michael: I write PA fiction because I love it. I love reading and watching all PA fiction that exists out there. I think it is fun to see how other writers view, 'what could be, if'. I love how gritty and real it is, if done right. PA fiction shows true human interaction and emotion. Me: Like your books, my post-apocalyptic novels also deal with the effects of an EMP. Give us the rundown on what an EMP actually is, for those who may not be familiar with it. Michael: I used an EMP as my weapon that ushers in the apocalypse because of how plausible it is. With my years of research on the topic I found that EMP's are more science fact than fiction. We know that the sun can cause an EMP with a coronal mass ejection or it can be caused by a nuclear warhead detonated high in the atmosphere. In my novels I use the theoretical weapon known as a 'super-EMP'. This is where a nuclear warhead has been designed specifically to enhance the gamma ray output essentially enhancing the volts per meter the EMP would be. So as to not bore the readers too much I'll give a brief explanation of a nuclear EMP. When a nuclear weapon is detonated high in the atmosphere it has three stages where gamma rays or radiation interacts with the high atmosphere and Earth's magnetic field. The reason I used the super-EMP is because in my research I found that a traditional EMP may not be universal or complete have a complete failure of systems across the country. There are many factors for a traditional EMP to have blanket coverage. Height of detonation, size (yield) of the device and location. With a super-EMP the volts per meter that is released is so high and the area it can effect is so immense that nothing electrical will survive. In my books I wanted nothing to work. I wanted all my characters thrust back to the 19th century with many not having the skill sets to live in the time period. Me: Where did the inspiration for the New World Series come from? Michael: I have always been fascinated with end of the world scenarios. I can't say there is one thing that is an inspiration. For the most part I wanted to give the PA world my version of 'what if'. Me: According to your biography, you are "a combat veteran of the Marine Corps, a former bodyguard to the Saudi Royal family, entrepreneur and bestselling author." How does your background affect your fictional endeavors? Michael: I definitely use my background to shape characters in my book. Professionally, I have spanned civilian, government and military. I wanted to have characters in my books that came from all three. I do feel that my background does give my characters depth specifically as it pertains to technical details. Me: How long did it take you to write The End? Michael: It took me 18 months to complete, The End, but my sequel, The Long Road took 4 months to complete and my new novel, I'm writing for Penguin/Random House will be completed in 3 months (first draft). Me: Fun questions! Do you listen to music when you write? What's your favorite writing snack? Michael: I always listen to music when I write. I specifically look for types of music, i.e. hard rock / heavy metal when writing fight scenes. I share with my readers the music I'm listening to so they can get an idea of what scene I'm writing. I don't tend to snack when I write, I do drink though. In the morning, I'll have a large mug of french roast coffee and in the evening Ill enjoy one or two tall IPAs. Me: Any advice to aspiring authors that you'd like to offer? Michael: I give this advice to all aspiring authors, here it is...... just write. I know it might sound lame but I find most writers stop themselves before they even put one word down. So many will tell themselves they need education, classes. seminars, blah, blah, blah. Actually, you don't need anything like that. Just write. Get your story down on paper, give your idea life then work on it afterwards by going to classes, seminars etc. Fine tune it with editing. An editor is critical by the way. Find one. Your friends and family don't count. Don't let your head interfere with your hearts desire of writing. Just write! ​G. Michael Hopf is a combat veteran of the Marine Corps, a former bodyguard for the Saudi Royal family, entrepreneur, and best-selling author. He is an expert on the threat of EMP and how to best prepare in the event. He wrote The End and The Long Road (Books 1 & 2 in The New World series)to illustrate the effects our nation would suffer if ever attacked by this type of weapon. He and his family currently reside in San Diego, CA.